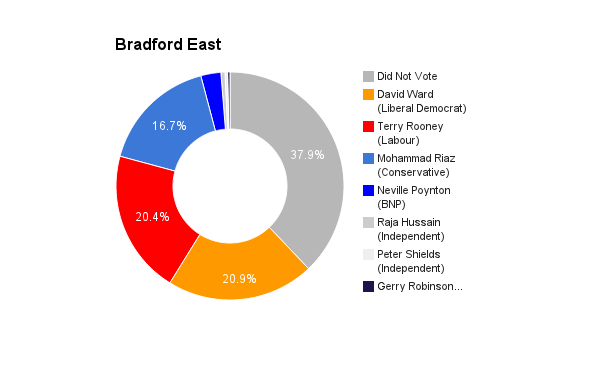 Bradford East is located in West Yorkshire in the north of England. The current incarnation of the seat was created in 2010. The current member of parliament is the Liberal Democrat David Ward who has served since 2010 having sat as an Independent briefly while the Liberal Democrat Party Whip was withdrawn.